RBI Grade B is one of the most coveted job profile in the Banking Sector. Through RBI Grade B 2019 Exam, the government will recruit eligible candidates to the post of Officer in Reserve Bank of India. With an excellent pay scale and reputed job profile, every year thousands of students take this examination. With a handful of vacancy it is really important to prepare effectively for this exam. RBI has released the official RBI Grade B Notification 2019. Candidates can read the official RBI Grade B Notification by clicking on the link mentioned below. RBI Grade B Online Application for RBI Grade B 2019 will start after the release of Official Notification. The Vacancy, Exam Dates, Pattern, Syllabus etc. will be announced in the official notification pdf of RBI Grade B 2019 Exam. 166 RBI Grade B Vacancies were declared for RBI Grade B 2018. We are expecting the vacancy to be almost same for RBI Grade B 2019 Exam. Let's have a look at the detailed vacancy for previous year to get an idea of the expected vacancy for RBI Grade B 2019 Exam. The tentative schedule of RBI Grade B will be released soon by Reserve Bank of India. 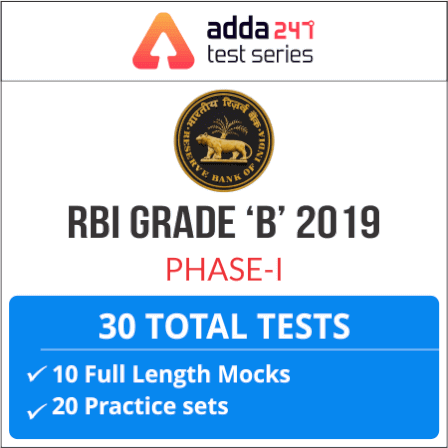 Candidates can get a overview of the RBI Grade B Tentative Schedule 2019 from below. A total of Rs. 850/- is the application fee that has to be paid by candidates belonging to General and OBC category for RBI Grade B 2019 exam. The same amount is reduced to Rs. 100/- for candidates belonging to SC/ST/PWD category. Candidates can apply online for RBI Grade B by clicking on the link mentioned below. The candidates selected to the post of Officers through RBI Grade B 2019 Exam will be given the salary of 12-14 Lac annually. The Exact Pay Scale for the RBI grade B Officer is Rs. 35150-1750(9)-50900-EB-1750(2)-54400-2000(4)-62400. Candidates will have a Basic Pay of Rs. 35,150/- in which he/she will get an increment of Rs. 1,750/- till nine years of their service. After the completion of these nine years, the officers will get into the executive band wherein the basic pay will increase to Rs. 50,900/- and then again for the next two years there will be an increment of Rs. 1,750/- and further an increment of Rs. 2000/- for the following 2 years. Thus a candidate will be ending up with the basic pay of Rs. 62,400/- and this is when he/she dosen't even go through any promotion. Apart from the Basic Pay, multiple allowances such as Dearness Allowance, House Rent Allowance, Family Allowance, Telephone Allowance, Conveyance Allowance etc. are also provided to candidates post their joining to the post of Officer in RBI. As the exam for RBI Grade B 2019 will be conducted online at various centers across the country, candidates are given the liberty to choose center of their choice and are allotted centers based on their selection. In case there is unavailability of seat in the preferred location, RBI has the authority to allot you a center other than the one you chose. RBI Grade B 2019 Exam will be conducted in three phases: Phase-I exam, phase-II exam and interview process. Candidates are required to clear all the three phases in order to get a confirmed post as a Grade B Officer in Reserve Bank of India. The admit card for RBI Grade B 2019 Exam will be released shortly for Prelims Exam. Candidates will be able to download RBI Grade B Prelims Admit Card by clicking on the link given below. The admit card for RBI Grade B Exam will be issued to candidates separately for Prelims & Mains. Candidates whos uccessfully submit their RBI Grade B Online Application Form will be issued Prelims Call Letter and the Mains Admit Card will be issued to candidates who will qualify the prelims round of RBI Grade B 2019 Exam. RBI Grade B Result for Prelims Exam will be released by Reserve Bank of India soon after the Prelims Exam has been conducted. Candidates can check their RBI Grade B Prelims Result by clicking on the link mentioned below. The cut off for RBI Grade B 2019 Exam will be released after each phase of examination is completed. The cut off for the Prelims exam will be released first followed by cut off for Mains exam. Candidates can evaluate their marks and their chances of selection by matching their score with the cut off list released by RBI. Phase-I of RBI Grade B will be tentatively conducted in June 2019. Phase-I Exam constitute of 200 questions asked from different sections namely Reasoning, Quantitative Aptitude, English Language and General Awareness. Phase-I of RBI Grade B 2019 Exam has both sectional as well as overall cut-off. 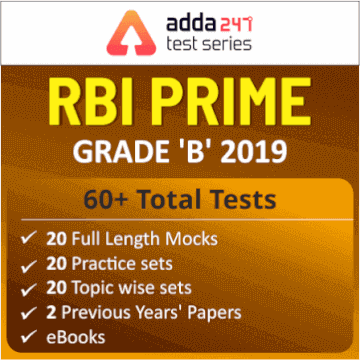 We are sharing last minute preparatory tips for scoring high in RBI Grade B 2019 Phase-I Examination.